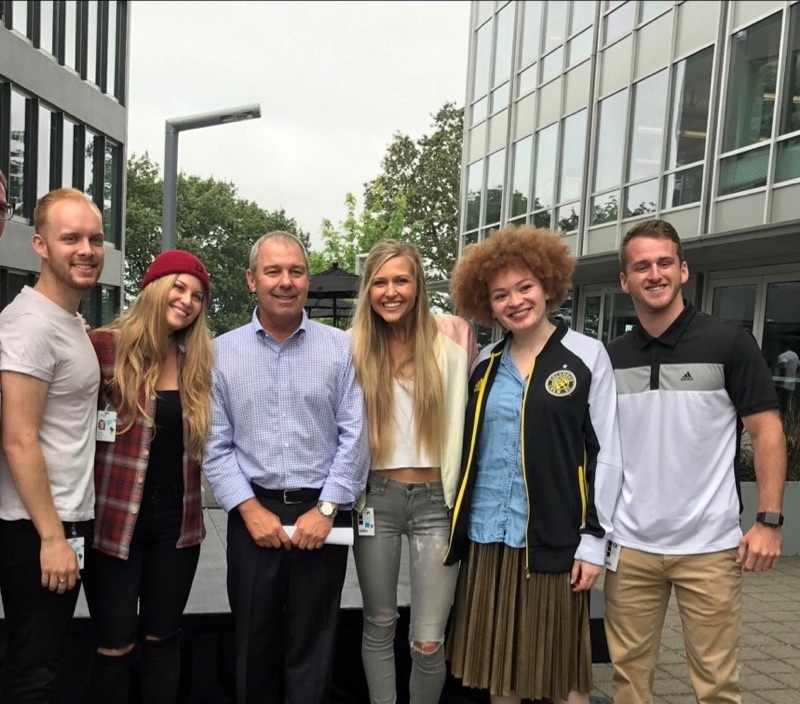 Jay-Mike Johnson, right, poses with Adidas North American President Mark King, third from left, and team members. Samford University senior Jay-Mike Johnson was part of a six-member team that won the Summer Intern project at Adidas U.S. headquarters in Portland, Oregon. Johnson is a senior pursuing a management major and sports marketing concentration in Samford’s Brock School of Business. For the project, the 90 interns were divided into 15 teams, with each person from a different department. Each team was assigned a trade zone in one of Adidas’ key cities and asked to do intensive research of the area. That boiled down to understanding its history, demographics and other data results. The group’s work possibly could be activated within the next few years. “The sports marketing program in Brock School of Business first helped me land the highly competitive internship with Adidas at its corporate headquarters in Oregon,” said Johnson. “It also prepared me for success by allowing me to participate in real-world, cross-functional projects while still in school. In addition to his summer internship, Johnson works during the year with the Samford athletics department.